My relationship with Gary the Gardener developed slowly after it became known to me that he was the one digging up and replanting my tulips. Gary would energetically run along the top of our six-foot wooden fence stopping occasionally to eavesdrop on Marty and me as we sat in “our chairs” by the lake. He was particularly interested in our Sunday morning gatherings that included hot drinks and cool conversation. Gary is not a stealth squirrel, Gary is noisy, brash and at time careless. I remember the day he was jumping through the limbs of the dogwood tree that canopies our patio and fell from the lower limb to the ground. I was alarmed not only because a grey squirrel fell from the heavens to my feet but he also fell equal distance between Dorian and me. Dorian, named for the doomed character in the Oscar Wilde novel, Dorian Grey, was a lovely, sleek grey cat that was always willing to accompany me as I searched for a warm spot in the sun on chilly fall days. After finding the perfect spot, we would lounge together happy to be alive. Dorian was startled too when Gary came from nowhere and landed at her feet. She did not move but give me a wry look that said, “Bless his heart, he doesn’t have the brains God gave a, well, a squirrel. Dorian and her sister, Emily were both New Yorkers but once I moved in they began to use some of my Southern aphorisms. Gary took only a moment to realize that neither Dorian nor I were going to come after him and that he needed to move immediately in the event one or both of us changed our mind. He did the Fred Flintstone scramble and ran away. I thought about Dorian’s amused response to Gary’s fall and wondered if she didn’t chase after him because she was getting on in years. After all she was 18 years old. But honestly I know that wasn’t the reason. Unlike her namesake, Dorian was gentle and laid back. Emily was the huntress in the family and she most definitely would have pinned Gary to the ground, if for no other reason than to teach him a lesson about the hierarchy of squirrels in relationship to cats. But that is a story for another day. I do believe that day Gary understood that I meant him no harm. We could co-exist and if occasionally we ended up in one another’s space, we would work it out. Little did I know that his personal space was a lot larger than mine and that there would come a day when I would be required to have an open and honest conversation with him about my personal space. I've been thinking and writing about community over the last couple of months. For many of us, our first experience with community is at school. We venture beyond the safety of our family into the greater fellowship of school administrators, teachers, friends and schoolmates. Some of these relationships last a lifetime and some fade away upon graduation. 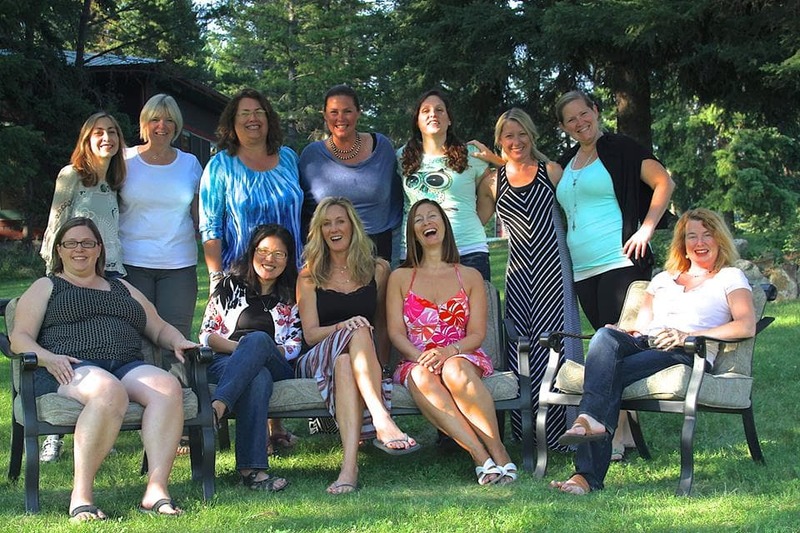 But within the educational community we find friends whose interests more closely align with our own. My friends and I were Campfire Girls, members of the school choir, attended the same church, worked on the school yearbook together and enjoyed the same music and movies. As an adult I found community at my job but recently I read an article that reported Americans no longer look to work as a place to form meaningful relationships. I can understand that shift given the fact that long-term employment is no longer a given in the United States. Polite but professional seems to be the code for office relationship these days. Another place I found community as an adult was in my children's school. I knew all my children's friends and in many of their parent's too. I was a member of the PTA, a Girl Scout Leader, a Cub Scout Den mother and a youth group leaders. In all these cases community was created for me when my children or I joined an established institution. Our transient society or aging may result in the shrinking of our circle of friends and lessen community at the very moment it is most important to us. Human beings are social creatures that need contact with other humans to thrive. I also believe we harden our hearts to the concerns of others if we become insular. Additionally without community we begin to feel helpless when presented with a problem. I will give you an example of the strength of community from my own life. 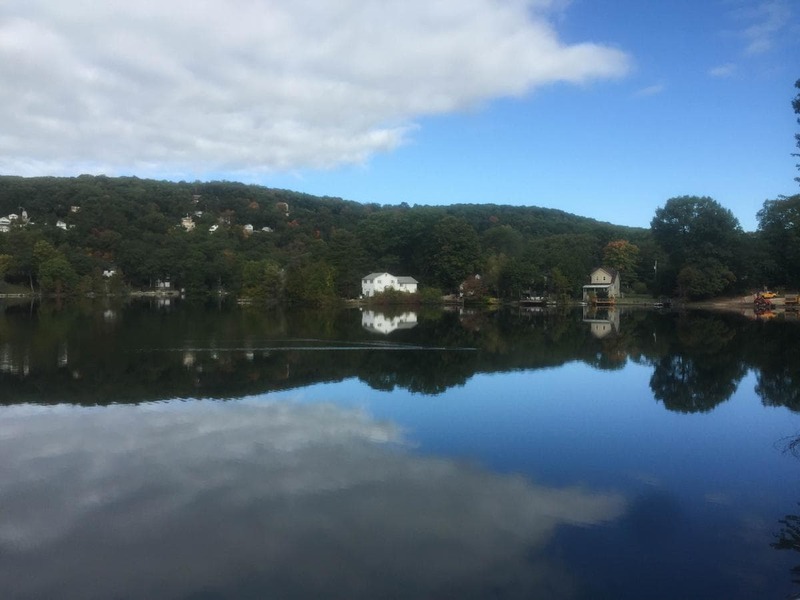 I live on a lake in the Hudson Valley and for the last two summers we have had a problem with blue-green algae. A blue-green alga is fouling the lakes and rivers all over the world and has been linked to everything from climate change to phosphorus and nitrogen from golf courses. A group of neighbors came together to educate our community on blue-green algae in general and our lake in particular. Our solutions included an education program on septic pump out, planting rain gardens and clearing out the lake's remediation pond. 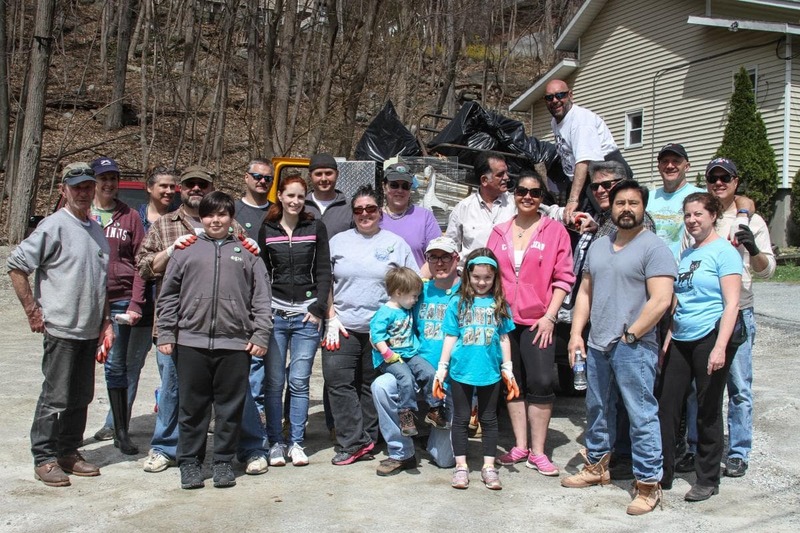 Our community focused on the single goal of improving the health of our lake. We did not have to take on the overwhelming task of cleaning up all the lakes and rivers of the world. (Though we are willing to share what we have learned with others if needed.) But without community nothing would have been done and would have furthered the belief that the "average citizen" is ignored. A happy by product of our rallying around the lake cleanup was the good friends we made; friends who make our lives better. This is why we need to form and maintain communities. Our communities need our gifts, our collective wisdom and our willingness to create a positive vision for the future. And we need community because we have a deep-seated need for connection. There was a period during the last year of my mother's life when it felt like every time I called her, she was crying. Alarmed, I would ask, what's wrong? Mom would tearfully explain that another member of her Sunday school class had died and would share with me some poignant tidbit about the deceased. The last time we played out this scene, Mom broken-heartedly stated she just couldn't go to "one more funeral". I, not so tactfully, suggested she join another Sunday school class with younger people. Sadly, she did not go to the funeral nor she did join another Sunday school class, she quit going to Sunday school all together. Sunday school was one of Mom's few remaining activities that brought her in contact with other people. Age is an easy method of grouping and sorting large groups of people. As a result, age forms and defines our individual communities from the moment we are born. The people we attend school with end up being our friends, confidants and familiars. The timing of life experiences is similar and we go through those experiences as a singular body. We find comfort in our age-based communities. While there can be comfort in a community of friends who have ties based on shared experiences due to age, there are also challenges and disadvantages of segregated groups. A segregated group can become insular, myopic and develop an us vs. them mentality. How many headlines have you read about Generation Xers declaring they are tired of the Baby Boomers whining and vice versa? Segregation limits the group's exposure to ideas, opinions and experience as well as skews their vision of reality. My mother truly felt everyone around her was dying but in reality, it was the people of her age group. My thesis, if you will, is that we need to develop intergenerational communities that allow us to share experiences from different vantage points and proficiencies. You may be "friends" with the younger people in your family but I would suggest there is also a hierarchy based on age in those relationships. To have peers that are both older and younger than you will enrich and enhance your life. Also, you will enrich and enhance the life of your intergenerational community. Take a look at your community is it based on age? If it is, maybe it is time to reach out to others outside your age group. As I write to you today I am in Lake Tahoe sitting before a warm fire. 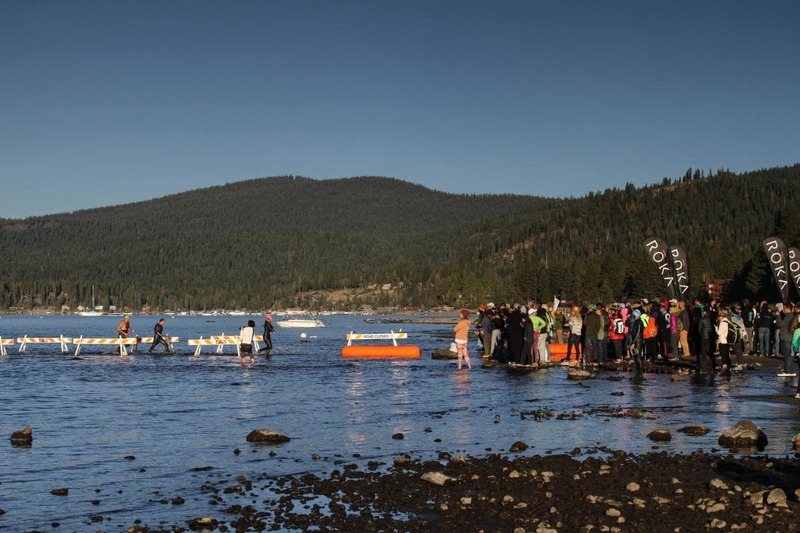 Yesterday, my son ran his first Ironman and I was in Tahoe to support him and cheer him on as he crossed the finish line. Those of you, who follow this blog, know that this time last year, Matthew was hit by car while training for this very race. He had life threatening injuries that could have resulted in paralysis or death. But he was blessed and our family was blessed with a miracle. Good Samaritans and competent professional all came together at the right time, with the right skills to save his life. I am grateful for the community that saved him. Participating in the Ironman was a two-year journey for Matthew. He committed both mentally and physically to participating in the race. 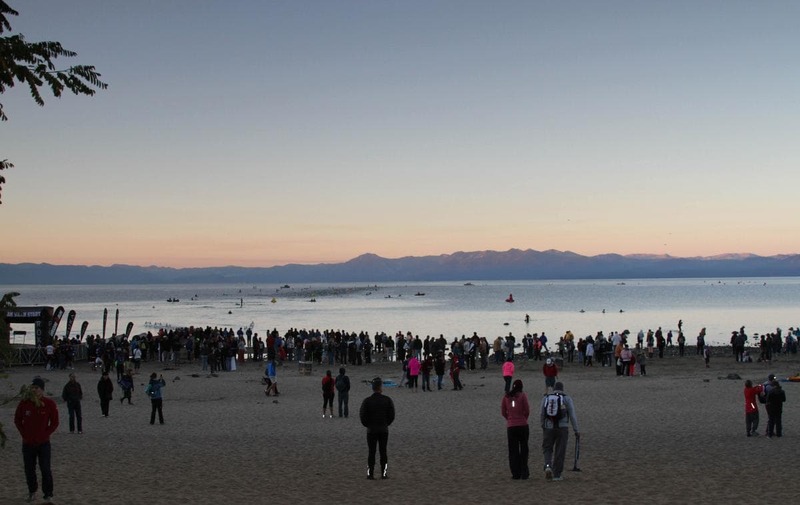 A moving and exciting tradition of the Ironman race is as the athlete crosses the finish line the announcer bestows the title of #Ironman on the finisher. Tears came to my eyes as Matthew ran across the finish line and the announcer said, "Matthew Parks, You. Are. An. Ironman." 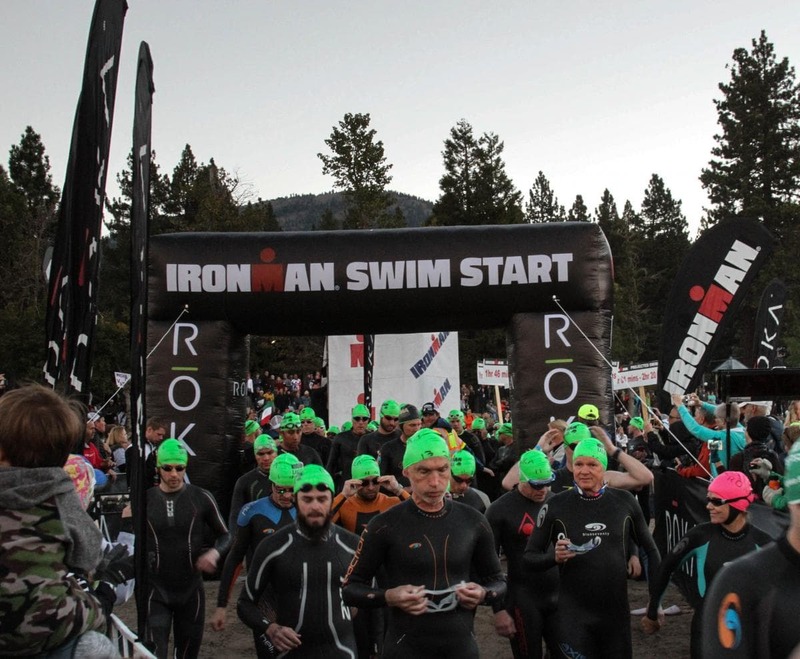 The irony of the moment is that the athlete doesn't feel like an Ironman as he or she crosses the finish line. 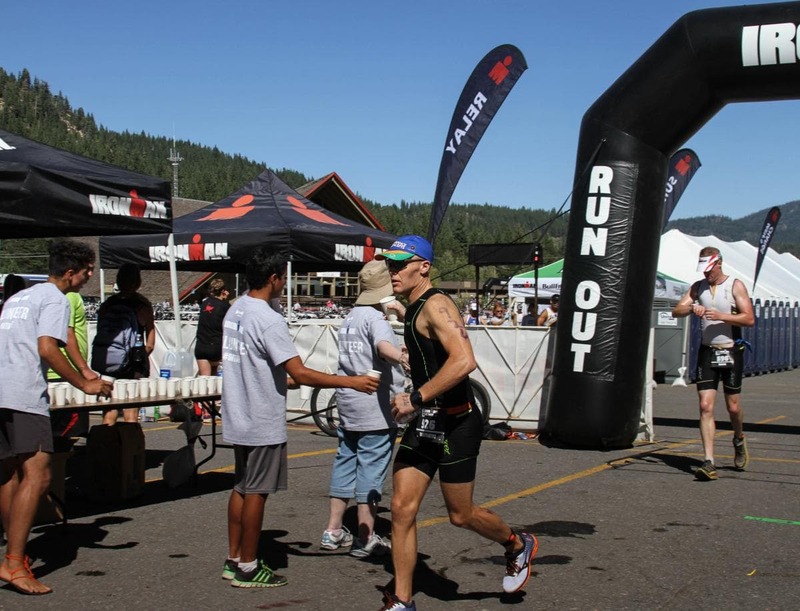 The athlete has endured 140.6 miles of swimming, biking and running and drained all reserves to cross the finish line. 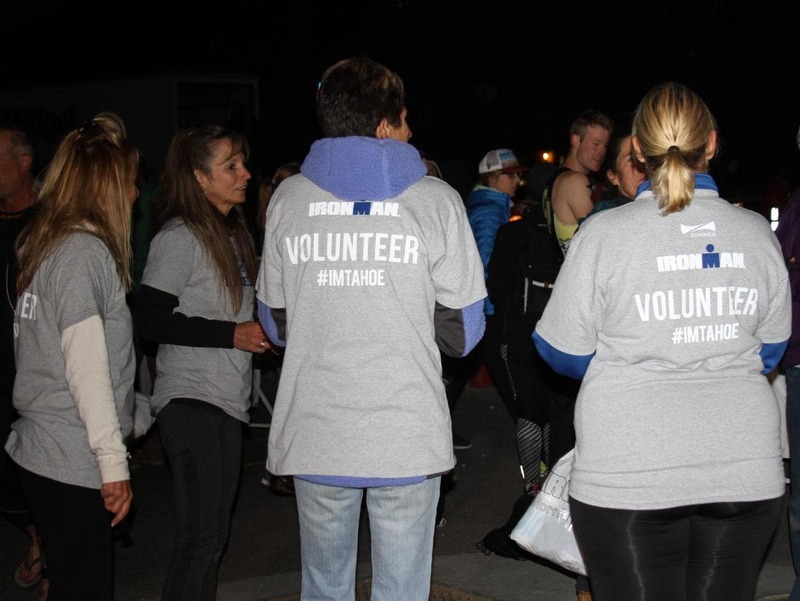 It takes about a 45-minute rest, a few hundred calories and hugs from family and well-wishers for the athlete to appreciate the enormity of their accomplishment. As I sat in the dining hall with the finishers, I listened as the racers discussed their performance on the course. The athlete's attitude about his performance was based on his expectations going into the race. 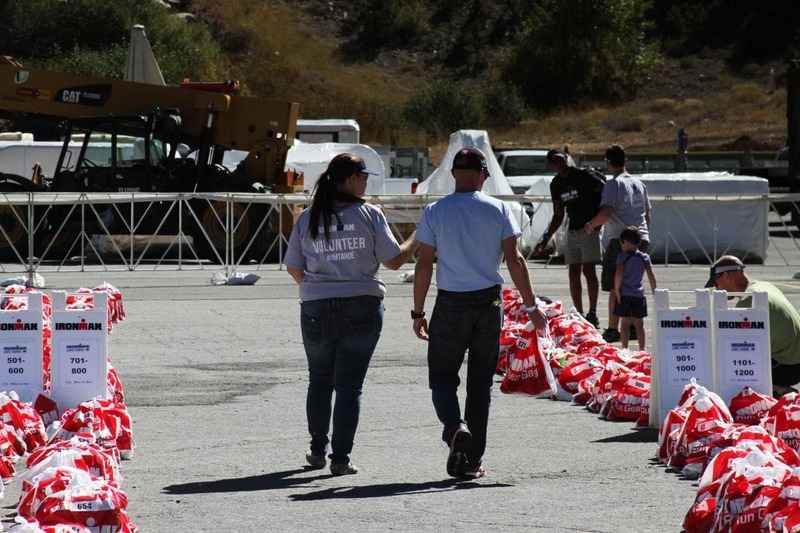 If an athlete expected to finish the course in 13 hours but finishes in 12 hours the event was a success. Conversely if that same athlete's expectations are 11 hours but the final time is 12 hours disappointment rises to the surface and a harsh critical analysis begins. At Ironman as in life our expectations drives our journey and ultimately whether we are happy or not. When our expectations are met we are happy, when our expectations aren't met we are dissatisfied. Happiness is the result of our expectations and outcome being balanced. I am a big proponent of making life plans and working those plans but I have learned and now embrace life where my expectations run contrary to the outcome. The unexpected gives me an opportunity to learn and grow as a human being. What if we viewed our life as an Ironman event where it's going to take us everything we've got to make it to the finish line and that the unexpected is part of the course and doesn't drive our happiness. 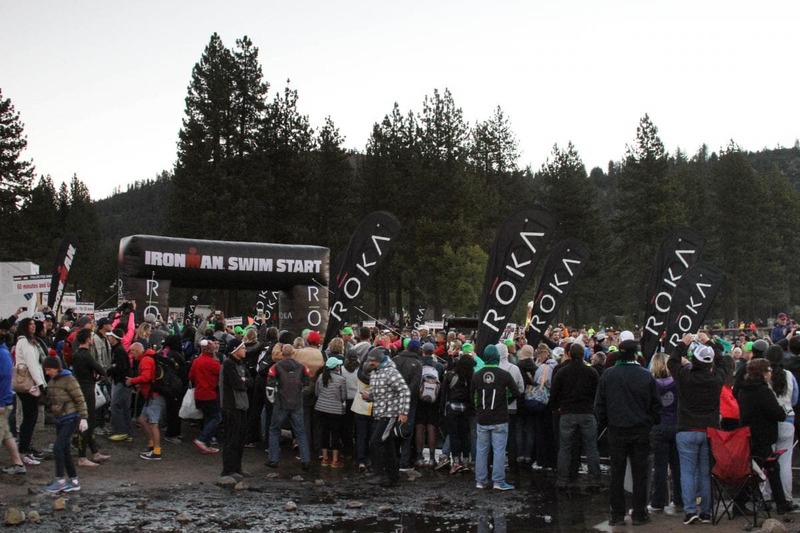 Yesterday I watched as hundreds of athletes faced the unknown and worked for the title of Ironman. My wish for them is that they find happiness in their willingness to take chances and run the race. I was inspired and encourage by my son and those around him as they took up a personal challenge to achieve a difficult goal. I will take this lesson with me as I head back home to New York. In the middle of my daylilies was a singular blooming tulip. This import from Holland was silky pink and should have been cause for celebration. Spring had arrived with a burst of color that signaled the end of another brutally cold winter but the sight of this lone blooming flower confused me. I had planted a cluster of tulips in the front garden but not down by the Lake. How did a tulip end up there, in the middle of the daylilies? Each August, the daylilies lean majestically into the warm summer sun prideful of their neon orange color. I've not had the heart to tell them that they are not true lilies. To be a real lily they must be part of the family of plants known as Lillaceae but sadly daylilies belong to a family known as Hemerocallidaceae. To make matters worse the Hemerocallidaceae family is not from North America but hail from Asia. Botanists and Horticulturist are as ridged about keeping proper records on the lineage of flowers as is the Daughters of the American Revolution are about documenting roots to a patriot of the American Revolution. My daylilies are not true lilies but it's best to keep that information between us. I know my daylilies are snobs and would not welcome a spring pink "foreigner". And I know I didn't put the unsuspecting Hollander in the midst of group of Hudson Valley New Yorkers. That is when the confusion gave way to fear. My first thought was, "Who moved my tulip?' but I quickly dismissed that thought as paranoid and an indication that I was crazy. I mean who would come into my garden uninvited and move a single tulip. So I settled on the only other logical reason for the tulip's new home. I did it and I was losing my mind. That was the only explanation. At the time my mother's health and mind were failing and I was over extended. 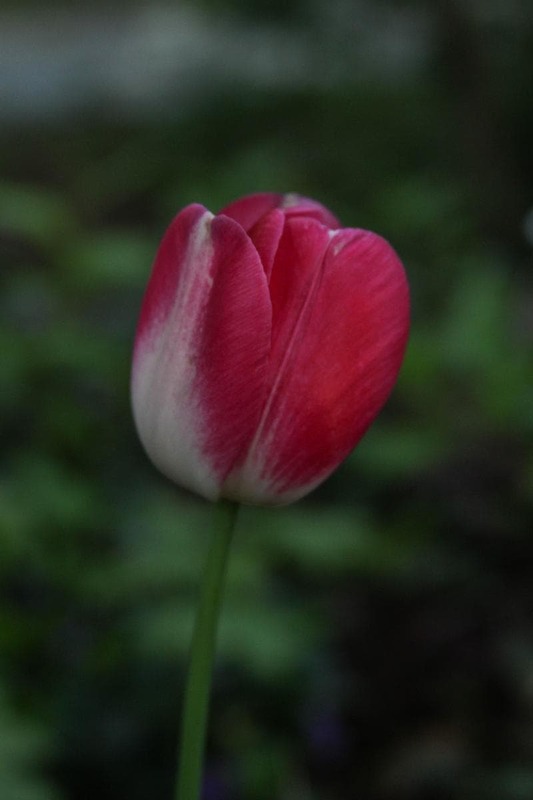 I was working desperately to keep all the plates spinning so it made perfect sense to me that I went into the garden and planted a single tulip in an unwelcoming place. Mystery solved and time to move on. The next spring a single tulip bloomed in the side garden in the middle of my pastel pinwheels. I was no longer confused or afraid. I was just plain angry. Well, maybe not angry, just annoyed that I couldn't figure it out. It was time I faced facts. I wasn't the one playing musical chairs with the tulips. But who was doing it? And why? Was a Taoist gardener sneaking into my garden to arrange tulips without intention and minimal action to purify his soul? 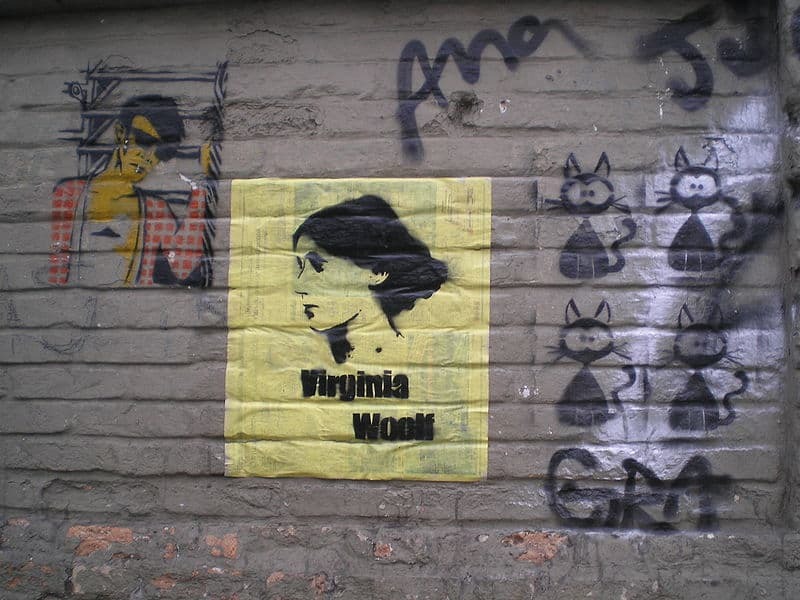 Could it be an obsessed fairy with the desire to recreate Vincent van Gogh's painting Irises with lilies and a tulip? Nothing made sense until one fall day I saw him. He was standing next to the garage with dirt under his fingernails and a tulip in his hand. We made eye contact and he did not look away. No remorse. My surprise at catching him in the act left me speechless. He gently caressed the tulip and sauntered away. That was my first encounter with Gary the Gardener, an Eastern Grey Squirrel. A year ago I'd planned to share with you my new garden project, raised herb beds. 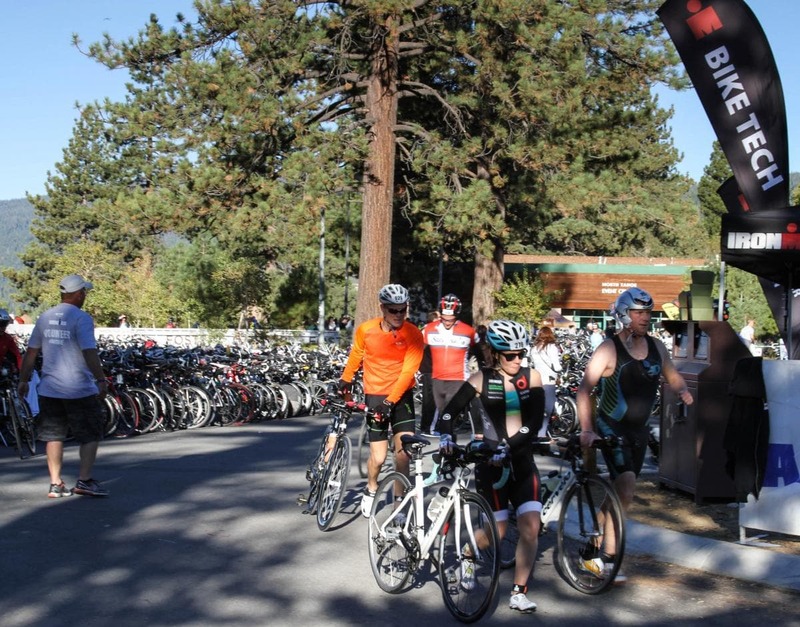 Unbeknownst to me my whole world would be turned on its ear when my son was hit by a car while training for the Ironman in Lake Tahoe. A year later Matthew has healed from his injuries and the herbs in my kitchen garden are cascading over the sides of the beds. I thought this would be the perfect time to share with you pictures of the thriving sage, rosemary and thyme outside my backdoor and share a few lessons learned about creating a raised herb garden. 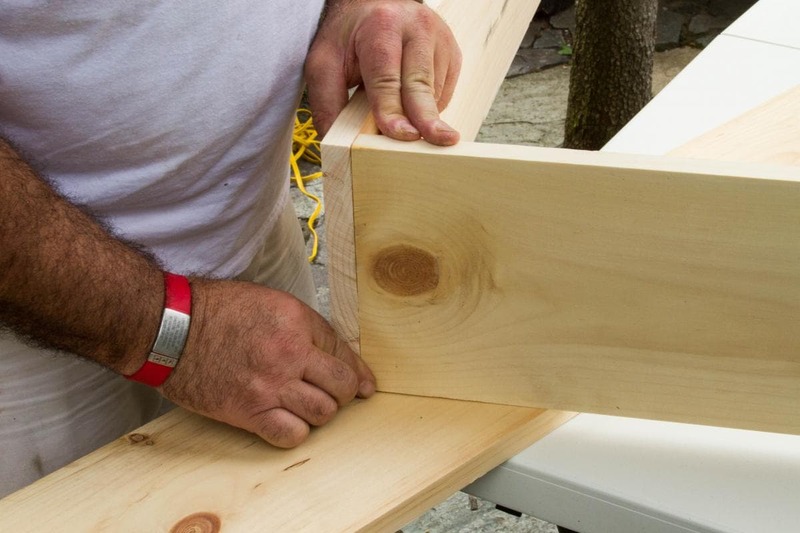 Building a square frame is not difficult if you have a talented partner who can tote wood, use a saw and wield a hammer. Marty spent an afternoon with me putting together the framework for the raised beds. 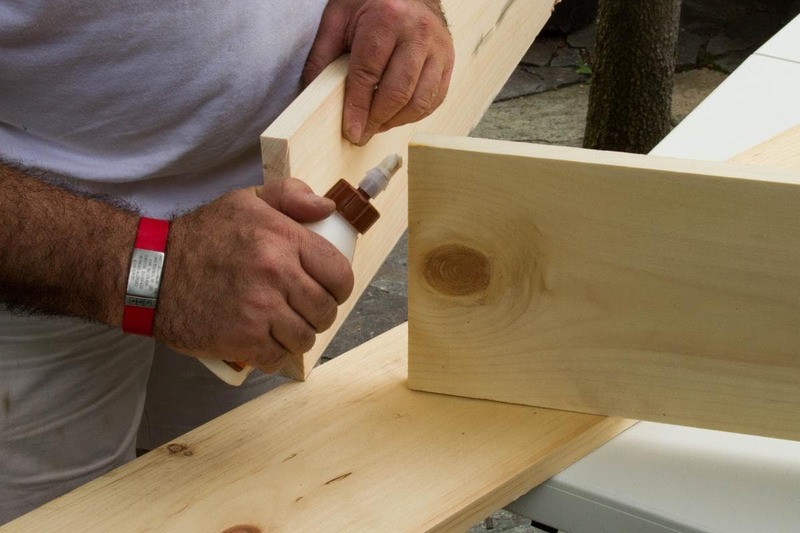 Marty was the journeyman carpenter and I was his apprentice. I also added the stenciled design on the sides of the frames for a little whimsy and color. Here's what you need to know to start your own beds. 1. 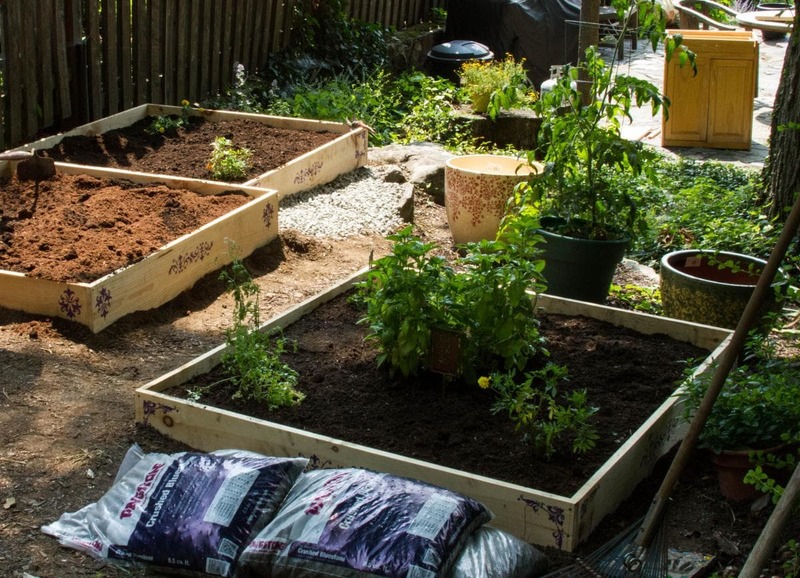 Raised beds can be the perfect solution for spaces with poor soil. I built my beds outside my backdoor near the kitchen and on top of an under ground bolder. I was never able to get anything to grow in that space because the soil was only a couple inches deep. Now I have lush herbs and eatable flowers for daily use. 2. When choosing a site for your herb garden, follow the sun. Herbs need lots of sun to thrive and reach their full potential. If sunlight is in short supply in your garden, a small raised bed could be the solution. 3. 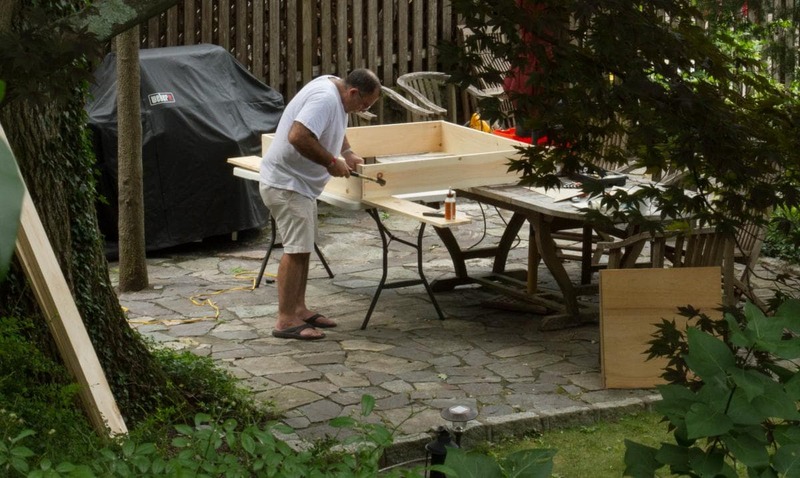 Raised beds can be crafted out of almost any material. You can use materials such as concrete blocks, masonry, rock, galvanized culvert, stock tanks, steel or wood. I chose wood because I liked the look and wanted to be able to stencil the sides. I did make the decision to avoid chemically treated wood. It will decay faster but the chemicals won't leach into the ground and into our water supply. 4. I asked Marty to cover the bottom of the beds with chicken wire to keep animals from burrowing up through the beds. In retrospect this was an unnecessary step for us because our beds are on rock. 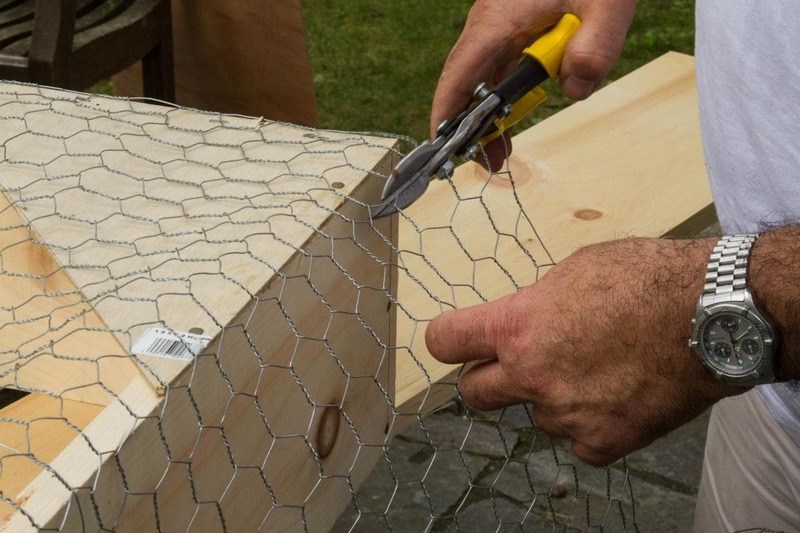 But if you have garden critters that burrow, the chicken wire could be the solution for you. 5. We mixed the soil ourselves using organic products. Topsoil was the main ingredient with compost and manure added for drainage and nutrients. The hardest part of this job wasn't finding the right composition of soil but toting bags and bags of topsoil and rock. We filled out the spaces between the beds with bluestone rock that is indigenous to New York. This was truly a labor of love. 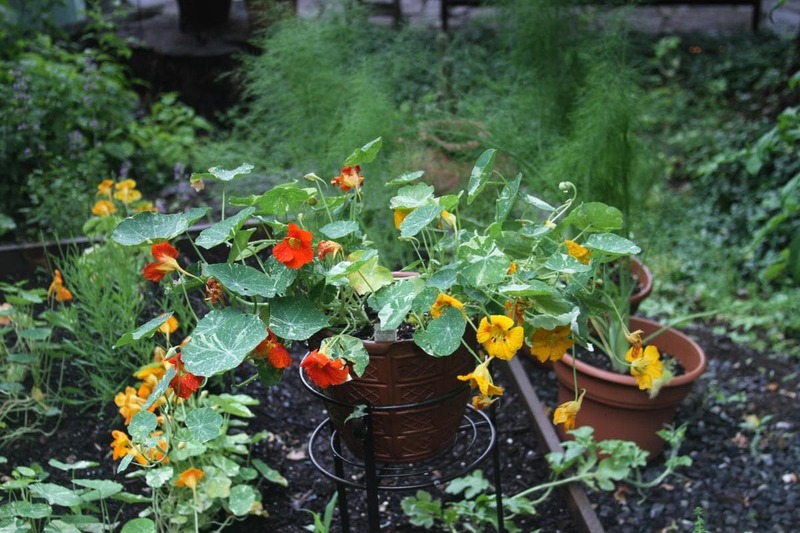 Watching the herbs thrive and the brilliant colors of the nasturtiums decorate the space outside my kitchen brings joy to my day. 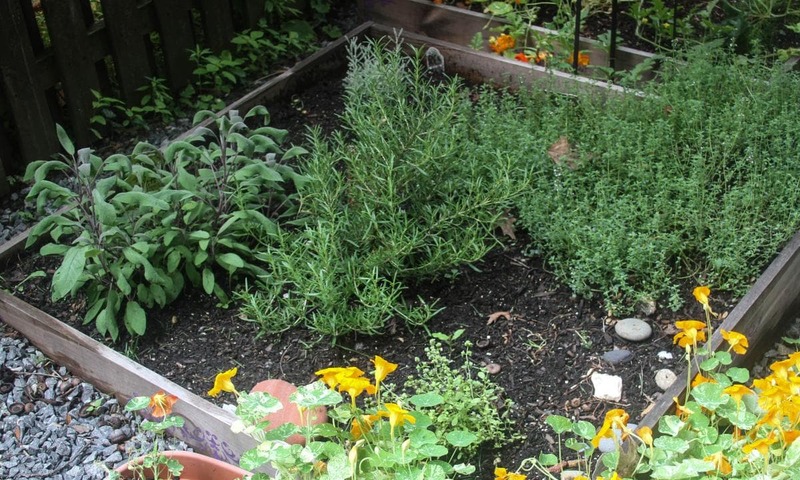 If you want to renew and rejevenate a section of your garden to grow your own herbs, I suggest giving a raised bed a go. A couple of years ago I purchased a Jeep Wranglers. I've wanted a Jeep since before my kids were born but always felt I needed to have a responsible car. But after my mother died, I finally purchased my "dream" car. 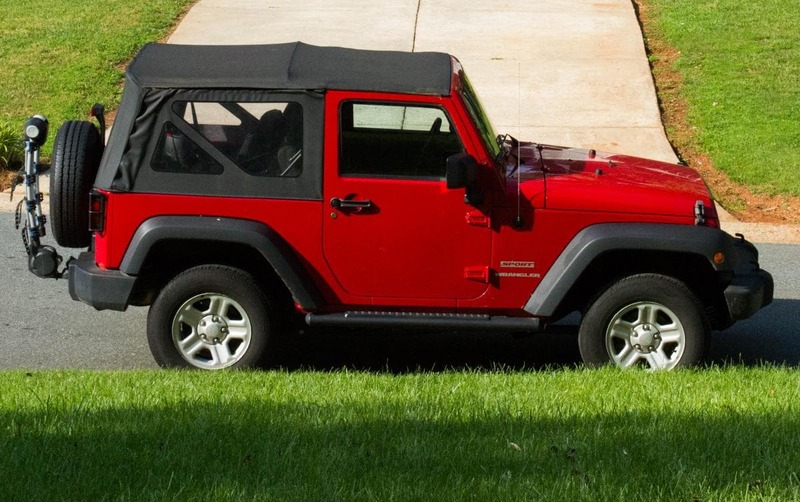 Unbeknownst to me with the purchase of my little red Jeep, I joined the Jeep "community"; a group that created a tradition of waving to one another as they pass each on opposite sides of the road. I now do the Jeep Wave. It's fun to do the Jeep Wave as I come upon another Jeep driver but I am under no illusion that I am part of a community. I am waving to another person who has the same fondness for the Jeep brand. Being part of a community requires more from the individual than having similar tastes in cars. I believe a community is a unified group of people who acknowledge a joint ownership and participation in society and quite frankly includes a physical component. What do I mean by that? Take FACEBOOK as an example. We can read about the loss of a loved one by one of our friends on FACEBOOK and offer our heartfelt condolences on the site but we can't take our friend's hand or give them a hug. We can't deliver a casserole or take their children for an evening while they get some rest after a trying day at the hospital. I believe one must be physically present from time-to-time in the lives of others to be a community. Now before you get up in arms about my excluding FACEBOOK as a community, please know that I am a FACEBOOK fan. I have reconnected with high school friends, maintained connection with previous co-workers who have moved on to other jobs and shared pictures with family regularly on this ubiquitous tool. But my point is, FACEBOOK is a tool, a device to enable communication between people. Community doesn't reside in the virtual world. As we discuss what it means to be part of a community and how we personally can shape our community in a positive way. We must first understand what it takes to create community and be clear on what we are willing to do to make it a place we want to live. I come from a background where it is ones civic duty to be well informed and educated on the “issues” of the day. 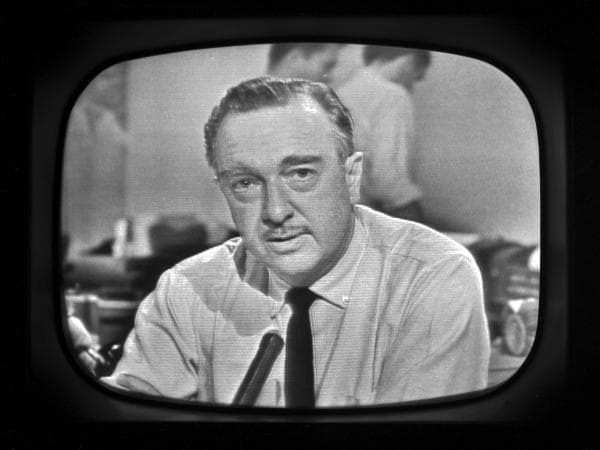 Growing up I would read the morning and afternoon newspaper as well as watch Walter Cronkite each evening on CBS. As I got older I tuned into PBS to watch The MacNeil/Lehrer Report and expanded my reading list to include various magazines like Time and NewsWeek. Today I read the Wall Street Journal, The New York Times, The Washington Post and the LA Times. Because Marty still wants to watch broadcast news, we will occasionally turn on CBS but since the whole Brian Williams fiasco I am turned off to television news. In a real time crisis I turn on CNN understanding completely that 75% of what is being presented is hysteria driven speculation. It takes time to gather enough information to accurately and succinctly report on stories of mass killings, weather tragedies and airplane disappearances but I feel the need to be connected if only through TV. Now that I can get the BBC on cable I will turn to them during an international crisis like the terrorist attacks in France because that broadcast feels less breathless and dramatic. One might say I am a News junkie but I suggest I am a Political Science junkie. While I do analyze and critic the process of delivering the news, I am more about the structure of how society governs and regulates itself. I watched in horror and in real pain as the Sandy Hook Murders were reported and was dismayed to see the process for a call to action turn to there is nothing we can do. Have we really become a nation whose government has been bought by the upper 1%? I imagine you are wondering by now if I am going off on some kind of Occupy Wall Street rant. Stick with me as I bring it back to you and me. We are bombarded with information on every single tragedy on the planet minute-by-minute. Heck if there isn’t a real time tragedy happening, one is created. Coupled with the images of death and mayhem are the words of “subject matter experts” who tell us the only solutions involves obscene amounts of money or decisive action from our government both of which, we don’t control. I have come to a place where I don’t buy it. I don’t buy the rhetoric I am being fed. I am part of the world but my community does not encompass all that is shown on TV, the Internet or in the print media. I do have influence over the community in which I live and work if I want to exercise it. I can’t touch the lives of the entire world’s population but I can make a difference in my neighborhood or town. I believe that if we do care for and nurture our communities, then we do make the world a better place.